Believe it or not, there are people out there who plain-and-simple don’t like the cloud at all. Their reasoning might be flawed, but it doesn’t change the fact that, if they refuse to use your cloud solution, it will hamper your ability to move forward. Furthermore, this toxic attitude can spread throughout your office, which can quickly become a problem. 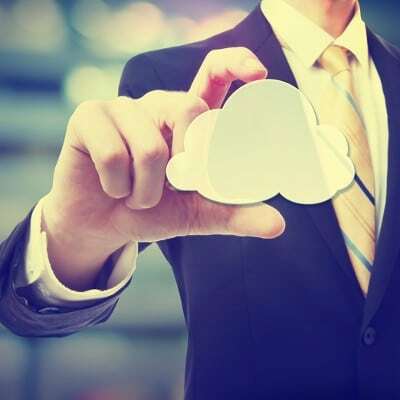 Compared to the above employee, who doesn’t like the cloud, this type of worker just doesn’t know what the cloud is, or is unsure what differentiates it from other types of IT systems. It’s not the employee’s fault; cloud technology can be a confusing subject, especially if they’re not technologically proficient. We’re sure that if you take the time to explain how the cloud works and what it’s supposed to do for your business, they’ll come around and realize how great of an asset it truly is. The people who express no interest in the cloud and don’t believe that it’s a game-changing technology could railroad your business’s momentum when implementing it. Plus, this kind of attitude is contagious, and can diminish interest in what’s best for your business. This includes older employees who still feel that older technology may be more reliable. Again, this is a mindset that can hold your business back from fully using more efficient IT systems. Implmenting a new solution can be frustrating, and your team not being on-board sure doesn’t help. In situations like these, it’s always best to explain, in layman’s terms, what implementing the solution means for your business. Think about it like trying to explain why your house needs new furniture: sure, your old couch might be bearable, but nobody likes springs sticking into their back, and it can get uncomfortable after long periods of time. You’re implementing new technology periodically to improve the functionality of your business, and if your employees understand this, they should be able to at least deal with your decision to implement the cloud. If all else fails, K² Technologies might be able to help your team better understand your new technology. We’re firm believers in the fact that those who best understand technology, will enjoy it more and get more satisfaction out of using it. We can educate your staff on how best to take advantage of your technology solutions. To learn more, give us a call at 307-686-3025.